Sleep darts when used, as well as manure when used to quick-grow crops, appears at one single spot in the world consistently and without fail. Seems my steps to reproduce are actually incorrect, so I'm not sure what causes it, as it also happens when quick-growing crops with manure (same spot as the sleep darts). If need be I can supply the save that it happens with. Clicking on it gave 1 manure or a pinecone each time I clicked, resulting in 21 manure and 3 pinecones, and at the end a sleeping dart. Have you guys seen these, and if so, what makes them? It could be from a Swamp Monster killing things, but how would the sleeping dart get there? I did see something very similar to this while I was playing, except instead of loads of manure it was loads of pinecones. They were piled up just like that. Very strange. I've got this too, I liked to call it a magical spot. When ever I use my darts they would magically appear on that spot again. I started a new world and tried to look for it but didnt work out. Prolly some bug with the world creation similar to how there was a tree in the ocean in one world I generated. I made an account just to ask this question myself. I have a spot that has TON's of manure, and it would also give me sleeping darts, never would give me anything else though. I made me a second base right next to the little spot. I had assumed maybe since it was behind a tree maybe some kinda creature was using the tree as an outhouse lol. Hmm interesting, I have not come across one of those yet. I've played a quite few hours and never crossed with something like this. I have the same kind of stuff near a bridge, but i cant grab it because it's in the ocean. Same composition : manure + sleeping dart. I preciecely had the same thing, I was lucky to have it in a grass biome with lots of rabbits, just shot every rabbit i saw then collected the loot ! After this latest hotfix on the 30th there were 3-4 piles of 20-ish Manure just laying on the ground in or near the Pig City. 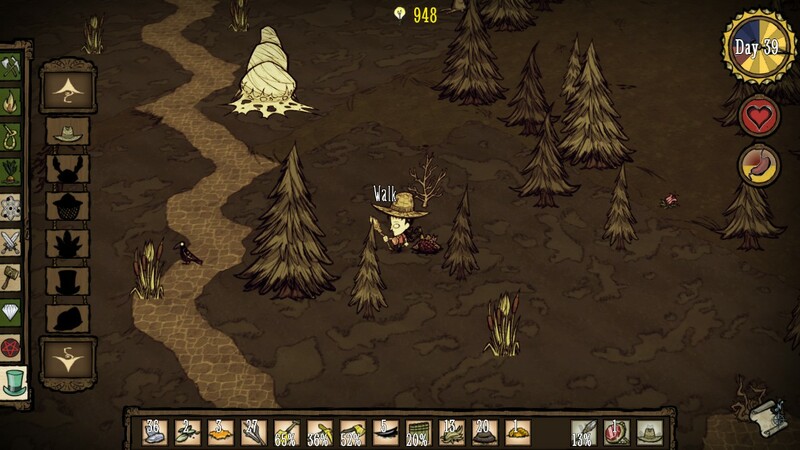 It's probably some bug related either to A) World Generation changes in a patch or B) changes to Pig Men in a patch. well, I guess we now know the place where everything we use up is going to. I moved the thread to its corresponding bug report.